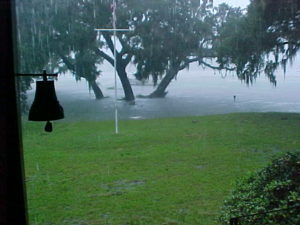 Flooding at my parents’ house on Johns Island when Irma’s storm surge hit the Lowcountry. Hurricane season is always stressful when you live on the coast. Most of the time, you walk around not thinking at all about it, and then suddenly…it’s on every channel and in the local and national papers! You feel like the rest of your life should totally stop as you prepare for the hurricane that may or may not be coming your way. But you have to keep going to work or school, making the kids’ lunches and walking your dog. You feverishly sign on to Weather Underground, click on Severe Weather, and go to the Hurricanes and Tropical Cyclones page. You click on the hurricane you’re watching–sometimes there are several! You move over to the header called News and Blogs and read Category 6, the blog that explains simply and thoroughly exactly what’s going on. You call your out-of-town friends and family and ask if you can come if needs be–with your two cats and a dog! And then maybe at the last minute–before voluntary or mandatory evacuations are called–you cancel because overnight the hurricane track changes drastically. Your town is no longer in the cone. You can stay. You’d never stay if the hurricane were coming your way, no matter what category it is, even a Cat 1. 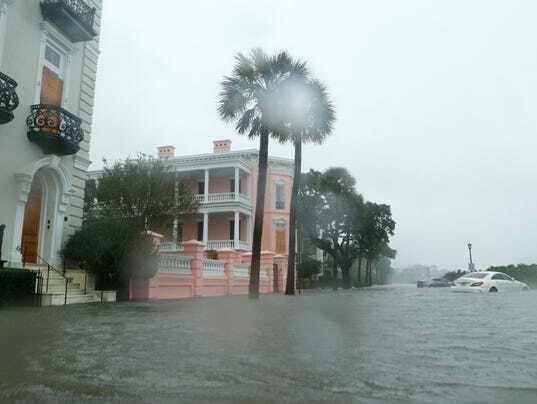 You’ve been through them, including Category 4 Hugo, and the fear you feel isn’t worth it–you find out with Hurricane Matthew that even Category 1’s bring down huge trees on roofs and lots of flooding. Nor is the horrible recovery period afterward any fun. It can last weeks or months. Yes, neighbors band together, and you experience a survivors’ atmosphere, which is very cool. The camaraderie, even with strangers, also reaffirms your belief that the world is 99.9% filled with good people who’d give you the coats off their backs if they saw you needed it (you ignore the looters and price gougers; they are a fact of life). But even when you stay knowing the hurricane isn’t coming, you’re afraid when they mention that storm surge. And when you see your city semi-drowning in it, its streets turned into rivers, you realize how lucky you are that it wasn’t a direct hit. You carry on. You hope everyone will return to normal soon. 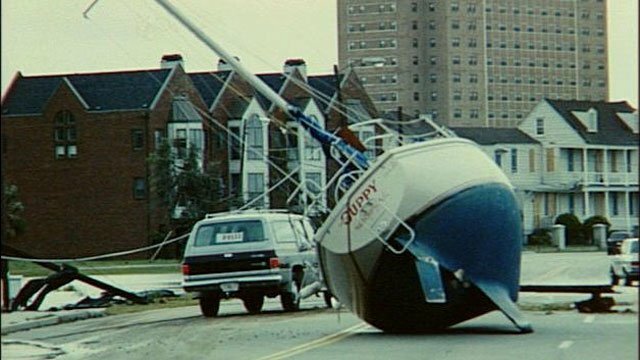 You have a few more hurricane stories to tell, never realizing that storm surge alone is a pretty bad thing to happen. Imagine if it were accompanied by over 100 mph winds!